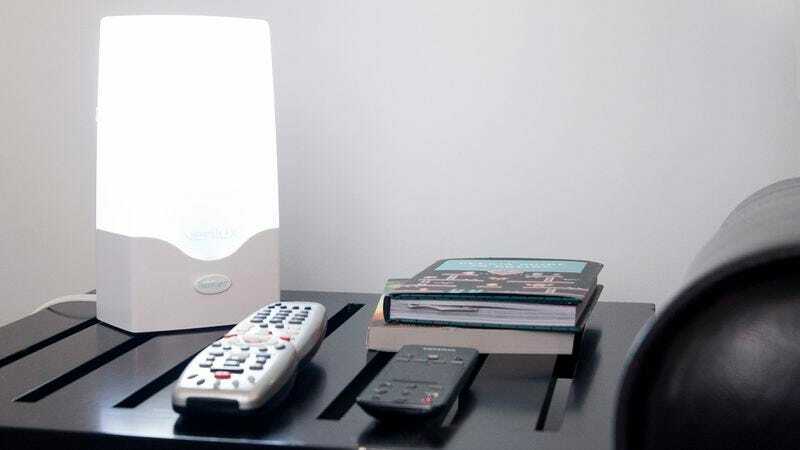 WASHINGTON—According to a new report published Monday by the National Institutes of Health, the mental duress of seasonal affective disorder is still substantially preferable to actually going out and buying a little indoor sunshine lamp. “In controlled studies, the embarrassment of flagging down a Brookstone clerk and uttering the words ‘I’d like a Nature Bright lamp’ far outweighed the emotional toll of wintertime blues, even before factoring in the awkwardness of repeatedly having to explain the glaring rectangle to houseguests,” read the report, which also found that experiencing brief periods of seasonal depression pales in comparison to the onerous task of dragging a desk lamp from room to room six months out of the year. “In fact, a majority of people said they’d gladly take some extra anxiety or sleep problems if it meant never having to convince themselves that $100 for a bunch of multicolored LED lights was a good investment.” The report concluded by reminding all sufferers of seasonal depression that while they might feel sad sometimes, at least they don’t have to pretend Sky Effect™ technology is a real thing.